Sweet and compact curly endive. With its compact head and finely cut leaves, this frisse is well suited for small gardens. Frequently used in salads with lettuce, the slightly bitter flavor is a perfect accent for any salad. Galia frisée is much milder than endive and radicchio and delicious when paired with fruity dressings. The fine, curly leaves provide an appealing texture to the flatter lettuce leaves producing different sort of bite. For optimum flavor, grow in cool weather after danger of frost. Will not germinate at temperatures over 80 degrees F.
Sow in average soil in full sun in early spring for the first crop and again in late summer for a fall crop. 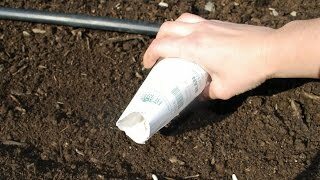 In rows 12 inches apart, sow seed directly in the ground ¼ inch deep and cover with fine soil. Firm lightly and keep evenly moist. Seedlings emerge in 7-10 days depending on soil and weather conditions. Thin gradually to stand 8 inches apart so there is enough room for the heads to develop. When leaves reach 10 inches long, about 40 days after sowing, tie them together to blanch the center leaves. Blanching helps improve the flavor by making the leaves less bitter. Remove bands during rain periods to prevent rotting. Keep plants well watered during dry periods to promote rapid, uninterrupted growth. Plants need about 1 inch of rain per week during the growing season. Use a rain gauge to check to see if you need to add water. It’s best to water with a drip or trickle system that delivers water at low pressure at the soil level. If you water with overhead sprinklers, water early in the day so the foliage has time to dry off before evening, to minimize disease problems. Keep the soil moist but not saturated. Monitor for pests and diseases. Check with your local Cooperative Extension Service for pest controls recommended for your area. Start harvesting when leaves are 4-6 inches. If blanching, cut the plants at their base after two to three weeks of blanching and discard the outer leaves. 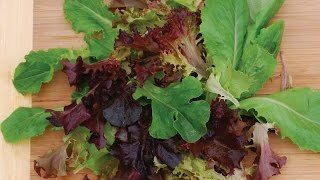 Use the slightly bitter inner leaves to add depth to salads as a garnish. Store in the refrigerator. Wash prior to use. Curly Endive, Galia Frisse is rated 5.0 out of 5 by 1. Rated 5 out of 5 by Sandi from Endive Galia Frisse For a lettuce type for fresh salads this endive beats all comers. It survives the cold here in the high desert region by Los Angeles above 3,000 ft. and is an excellent tasting green. I always try and find this one for a fall planting.